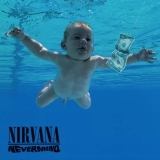 Nevermind (this album) (1991), From The Muddy Banks Of The Wishkah (1996), With The Lights Out (compilation) (2004), Nirvana (compilation) (2002), Live At Reading (2009), Singles (compilation) (1995), Sliver: The Best Of The Box (compilation) (2005), Icon (compilation) (2010), Nevermind: The Singles (compilation) (2011), Live At The Paramount (compilation) (2019). Showing latest 5 ratings for this track. | Show all 871 ratings for this track. Probably an unpopular opinion here, but I think it's one of the low points of the record. Don't get me wrong, It's a good song and I like it, but I think it's place on the tracklist doesn't do it any good (it's after 4 of my fav tracks and before one of my absolute favorites as well, Polly). Also, I'm not really a fan of the "Yeah" chorus, it just feels like a very forced way to make a song catchy, as if Kurt couldn't come up with words that'd fit the song and just left it solely because of the fact that it's catchy. Anyhow, the verses are great and Kurt's vocal delivery is on point, I just think the song (and especially the chorus) pales in comparison to the tracks that preceded it and the one that comes after. Without a doubt the best song on Nevermind and maybe in Nirvana's discography. The bass and guitar compliment each other so well throughout the entire song and the bass line in the chorus is well written. Cobain's vocals are spot on and it's as catchy as it is repetitive and is one of the highlights of that working in Nirvana's favor. Such a classic. How can you dislike this song? Excellent Nirvana song. Kurt does a great job singing here. And here is my fav Nirvana song.